DO you always wanted to buy a smartphone?? and never had enough money n you pocket, or you never wanted to shell out too much money on phones, the Vodafone has solved out your problem. Vodafone just launched it's super affordable smartphone called Vodafone smart. which will fulfill dreams of low budget buyers. Launched with the price tag of Rs. 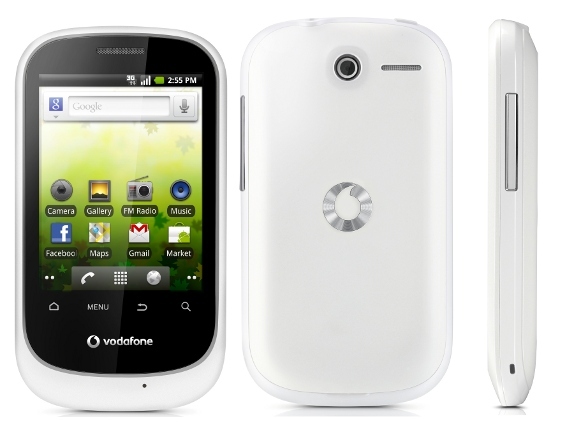 4,995 , Vodafone Smart comes with android 2.2.1 froyo operating system, and Powered with Snapdragon S1 processor on-board. This time Vodafone has targeted Tech savvy peoples because i will come built i with new apps, games and some exciting features. Moreover Vodafone is providing 2 years warranty with this set which is a great surprise for all of us. "Urban Indian youth is brand conscious and has shown a great response to smartphones. Vodafone Smart is one such smartphone with its stylish looks, smart features and a host of exciting apps and 3G connectivity at an affordable price,” Kumar Ramanathan, the company's chief marketing officer, Vodafone India is quoted as saying. 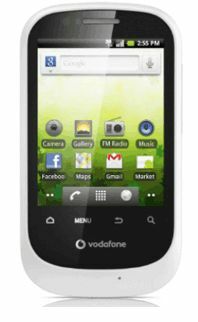 The Vodafone Smart features a 2.8-inch capacitive touch display and a 2MP camera. For connectivity, the phone supports Wi-Fi, GPS and Bluetooth 2.1. The Vodafone Smart has just 130MB of internal storage, though the device packs with a 2GB memory card. The internal storage of the device can be expanded up to 32GB via microSD card. Read more details of the new Vodafone Smart here.